Giant tree displays, lamppost decor, street banners, holiday light displays, building front garland and wreaths and so much more! Our trees can be found in Shopping Centers, Malls, Town Centers, Amusement Parks, Universities, Office Buildings and Hotels. This pre-lit 40 foot Sequoia Tower Tree has 124,438 branch tips with 395 two-foot branches. There are a total of 39,350 warm white LED lights, creating an aesthetically pleasing display that is energy efficient and cost effective. 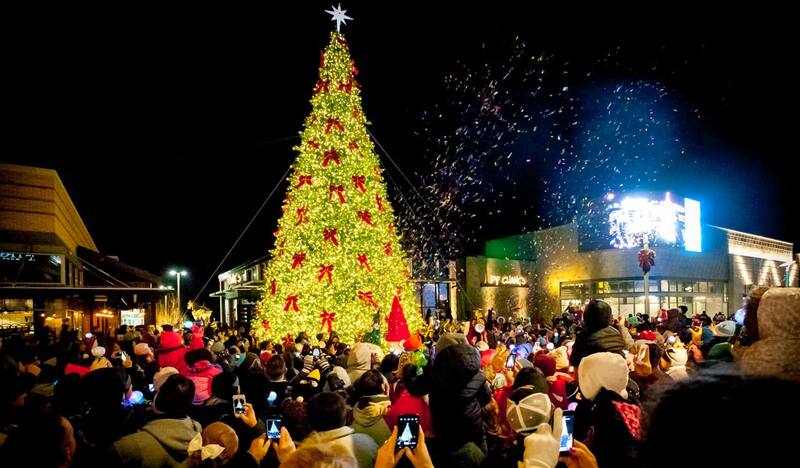 This tower tree installation took place at Stonebridge at Potomac Town Center in Woodbridge, VA.